This is a painting I did for an art club challenge. 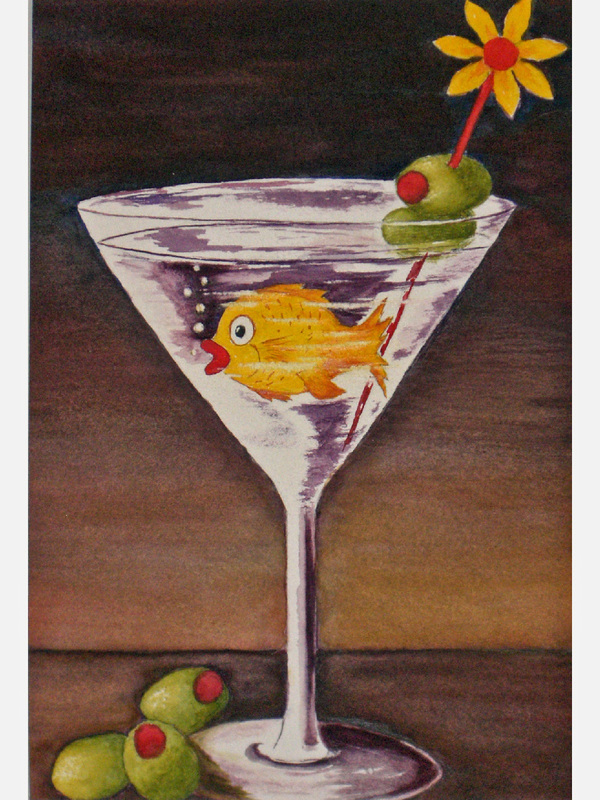 The challenge was to do a painting which had a glass vessel, a fish, and fruit in it. BTW- I won first prize.